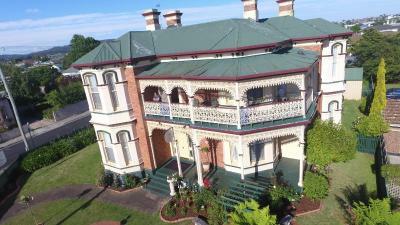 Lock in a great price for The Grand On Macfie – rated 9.7 by recent guests! 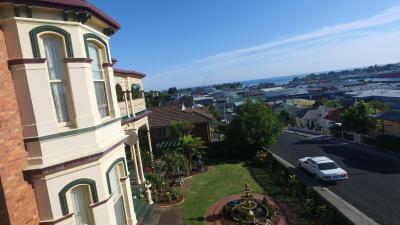 Loved this property, don’t stay anywhere else in Devonport. 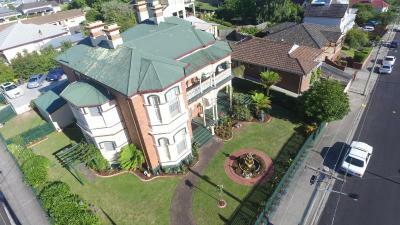 Beautiful Victorian property, lovely room and bathroom. Great views, easy walk to anywhere. Paul and Brendan perfect hosts, didn’t want to leave. 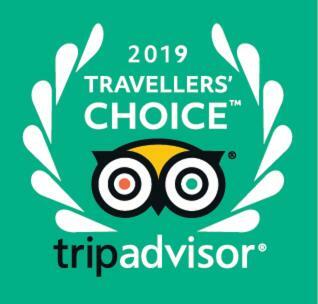 Exceptional service and friendly owners made our stay memorable. Have no hesitation for recommending this establishment. Paul and Brendan a big thank you for looking after us. The owners were perfect hosts and went out of their way to make our stay at their home perfect. They are very knowledgeable about the area and had many suggestions on great places to visit. Our “chief” was absolutely delightful! 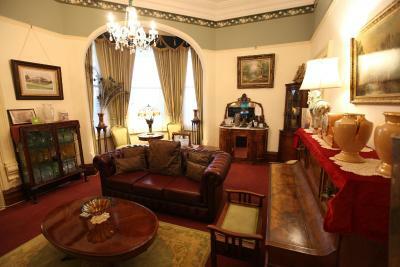 The Grand is a step back in time with beautiful furniture and ornaments. Paul and Brendan have done a fantastic job decorating the house. They are attentive to your needs and make your stay a real pleasure. The property is beautiful, loved it, likewise the service. Wonderful welcoming hosts. Beautiful accommodation. Excellent food. Could not ask for more. 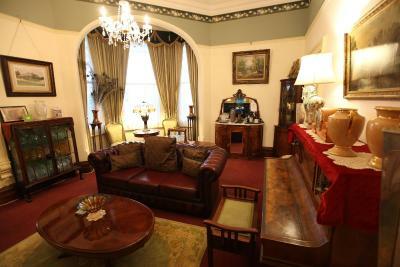 Lovely restored house with old-world decor and all modern comforts. Great hosts and breakfast! The Grand On Macfie This rating is a reflection of how the property compares to the industry standard when it comes to price, facilities and services available. It's based on a self-evaluation by the property. Use this rating to help choose your stay! 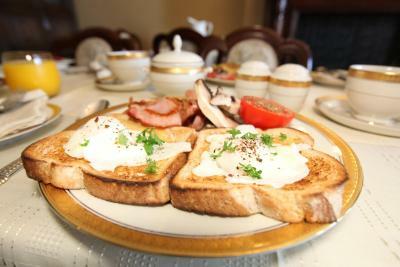 The Grand On Macfie is a bed and breakfast in Devonport that features barbecue facilities and garden. Featuring a shared lounge, this property also provides guests with a terrace. The accommodations provides luggage storage space and free WiFi throughout the property. 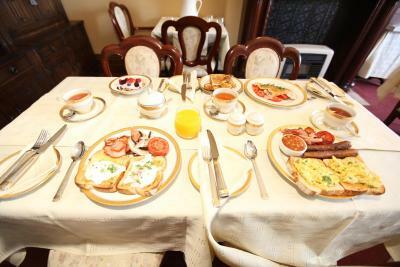 At the bed and breakfast all rooms have a wardrobe, a flat-screen TV and a private bathroom. The Grand On Macfie offers some rooms with sea views, and each room comes with a kettle. The rooms include a seating area. 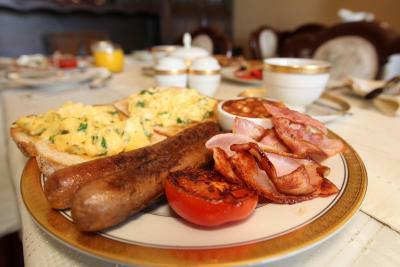 A Full English/Irish breakfast is served every morning at the property. Devonport Ferry Terminal is 2,650 feet from the accommodations. The nearest airport is Devonport Airport, 5.6 mi from the property. 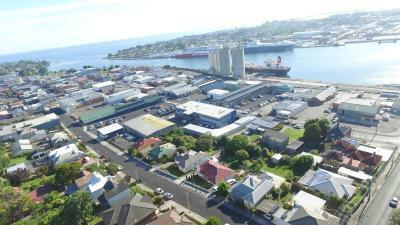 This property also has one of the top-rated locations in Devonport! Guests are happier about it compared to other properties in the area. 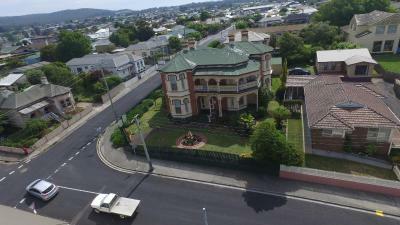 This property is also rated for the best value in Devonport! Guests are getting more for their money when compared to other properties in this city. When would you like to stay at The Grand On Macfie? This suite has a garden view, mini-bar and electric kettle. This suite features a barbecue, executive lounge access and soundproofing. This suite has a mini-bar, seating area and executive lounge access. This suite features a sofa, seating area and mini-bar. This suite has a sea view, executive lounge access and seating area. House Rules The Grand On Macfie takes special requests – add in the next step! The Grand On Macfie accepts these cards and reserves the right to temporarily hold an amount prior to arrival. There is no surcharge for using Amex, JCB, Mastercard or Visa credit cards. Parking is a bit tight, my car was scratched by another guest who didn't leave their details. While the shower was adequate, a bigger person did not have lots of spare room. Great breakfast. Friendly hosts. Old world feel and decoration. Being cherished by the hosts. Huge bath sheets. Everything! Had a peaceful night, love the bed it was very comfy. 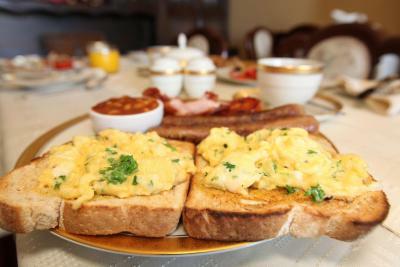 The breakfast was superb! Thank you! 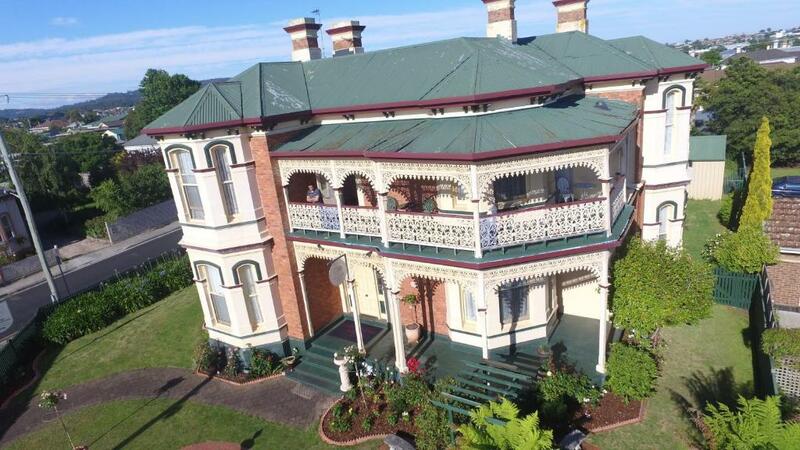 We loved our stay in this beautifully restored Victorian hotel and the owners Brendan and Paul went out of their way to make our stay a home away from home. 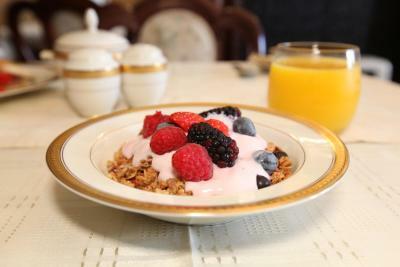 Breakfast was delicious and all the little touches were much appreciated. Amazing value for money. Being an older restored property the bathroom was adequate but not luxurious. Well restored period house in a nice part of town overlooking the river. Excellent full-cooked made to order breakfast and hosts got up early to accommodate our early ferry departure. 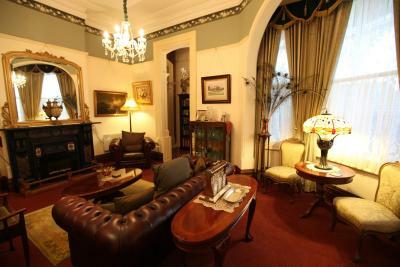 Enjoy the complimentary night cap in the drawing room too!